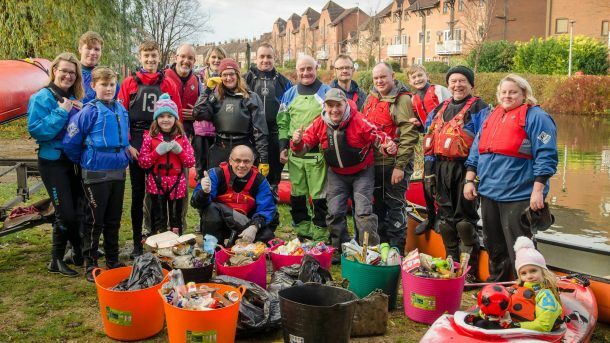 Paddlers from Kingston Kayak Club took to the waters of Beverley Beck on Sunday despite the rain to undertake our 3rd and final waterway cleanup of 2018. We collected over 10 black sacks of rubbish, all of which where then taken to Weel Recycling Centre and recycled correctly. Well done to every one of you who assisted today, a big Thank You to all our paddlers and of course to our walking collectors too. We’ve already had good feedback from residents of Beverley and British Canoeing thanking us for our efforts.